This anchor chart poster is a great tool to display in your classroom or hand out to students to place in their interactive notebooks and/or binder. 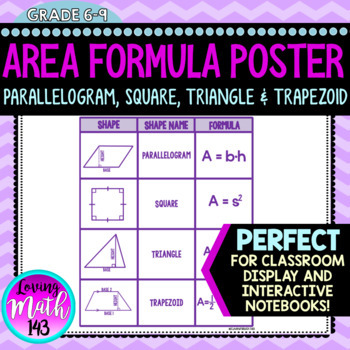 Students will see the shape of the polygon, name, and formula to calculate the area. Great visual and well organized.